His appearance on State TV dispels several claims about his death. Syria's intelligence chief, who, according to British newspaper The Telegraph was placed under house arrest after plotting a coup against President Bashar Assad, made his first appearance on Syrian State TV on Wednesday. Earlier on Monday, The Telegraph had reported that Brigadier General Ali Mamlouk was arrested for plotting a coup with rebel groups and other exiled leaders to overthrow President Assad. 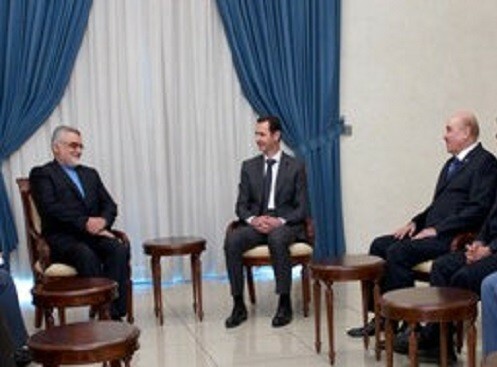 Mamlouk is one of the closest supporters of Assad and said to be among the few officials who still closely interact with the Syrian president. The report of Mamlouk house arrest was seen by many as a sign of an increasing 'unrest' in the inner circle of President Assad. However, his latest appearance on State TV dispels several claims, including one that he was in a hospital. The reports went on to claim that if Mamlouk died, "whether in the hospital or under other circumstances," he will be the fifth suspect to be linked to the assassination of former Lebanese prime minister Rafik Hariri in 2005.